Buns are often in the spotlight, gawked at and either praised or criticized! Who doesn’t appreciate a great bun. 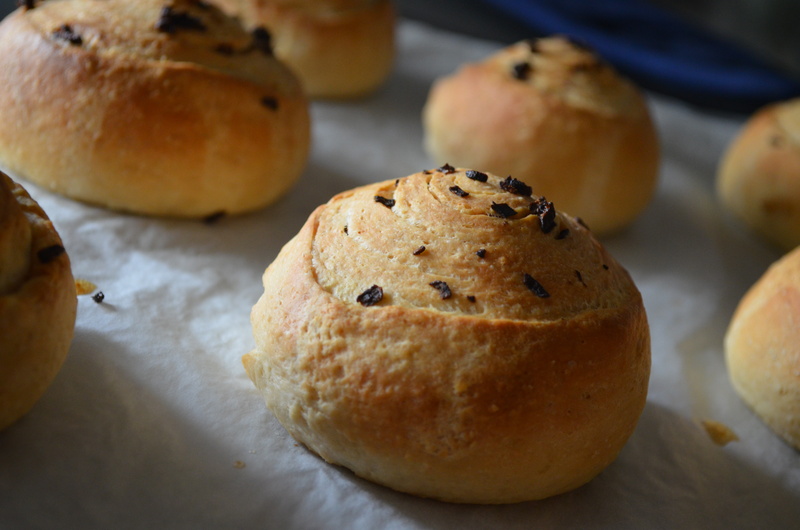 All kinds of well made buns have their place, firm, soft, big and small included! Sir Wes particularly loves good buns, especially when there is a burger in the middle. I love when we fix burgers for dinner as Wes usually takes over this meal; my only responsibility is shopping for the mise en place, when I try to pick out the best looking buns in the bakery. I recently gave Wes a grinder attachment for the Kitchen Aid, (which by the way, he loves) so when he wanted to use it for the first time to make burgers, I felt a little extra inspired to make my part more notable. What better way than by making them fresh. I tried this recipe from King Arthur Flour a few times, and slightly adapted it to make it work a little better for a bread making novice. 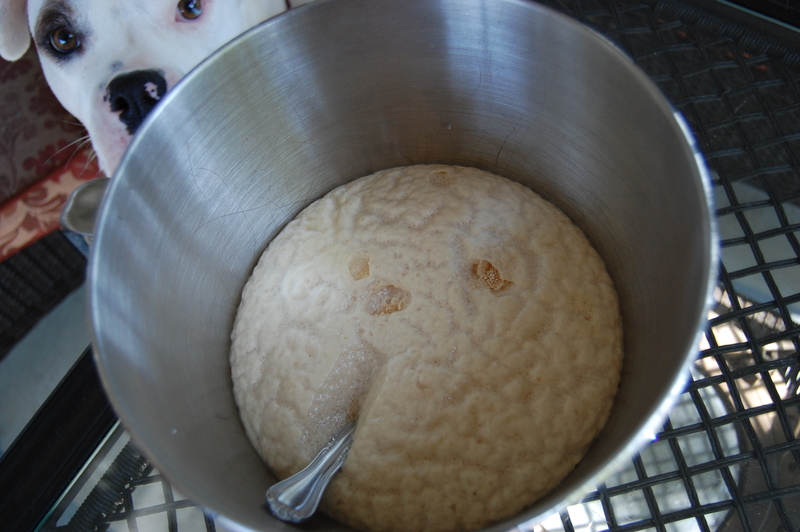 To make the dough: In a small container, combine the yeast with 3 tablespoons of warm water and allow to bloom for a few minutes. Combine all of the dough ingredients, and mix and knead them—by hand, mixer, or bread machine—to make a soft, somewhat tacky dough. 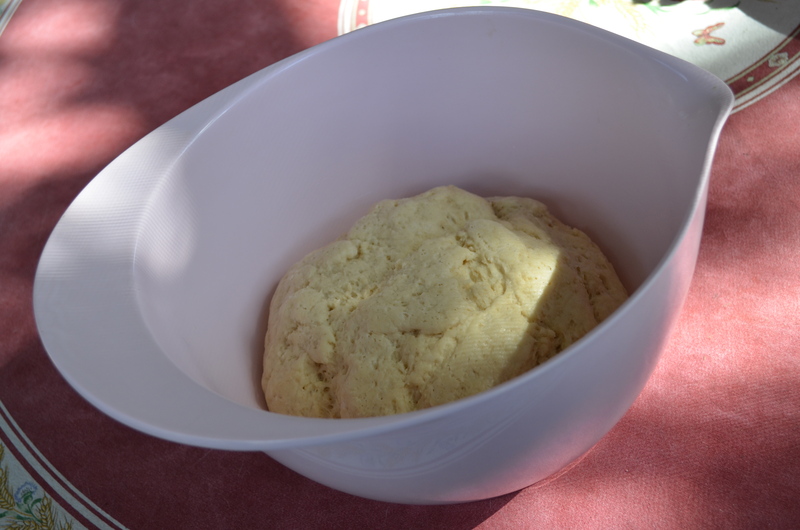 Place the dough in a lightly greased bowl or other container large enough to allow it to at least double in bulk, cover, and let it rise for about 60 to 70 minutes, till it’s just about doubled. 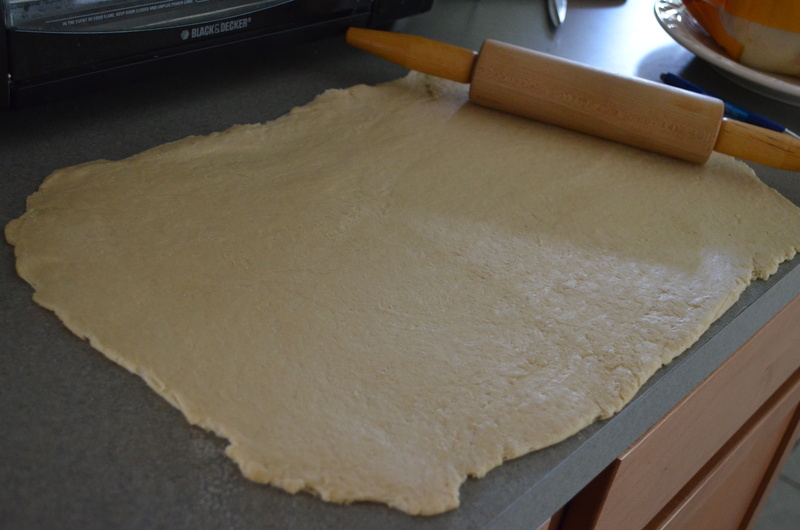 Try a sunny window, or close to a heat source if you struggle with dough rising. 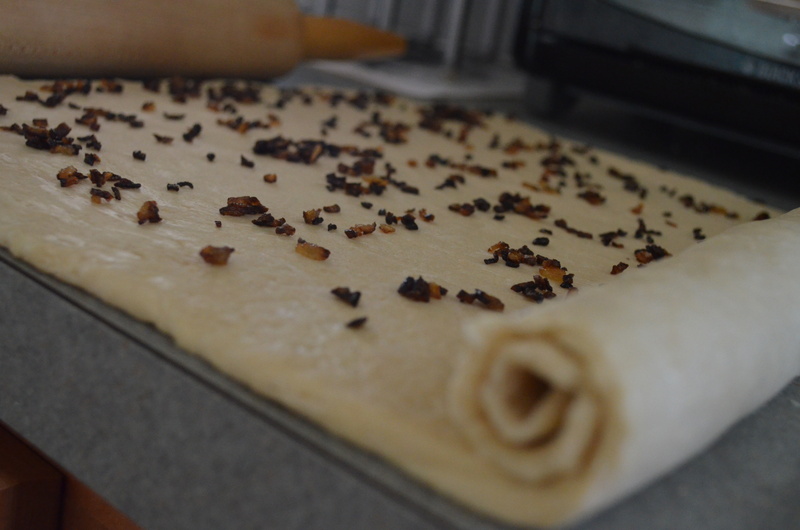 Sprinkle the dough with the minced onion, and press/roll it into the surface gently. Reserve a small amount of onion to sprinkle on top of the buns. 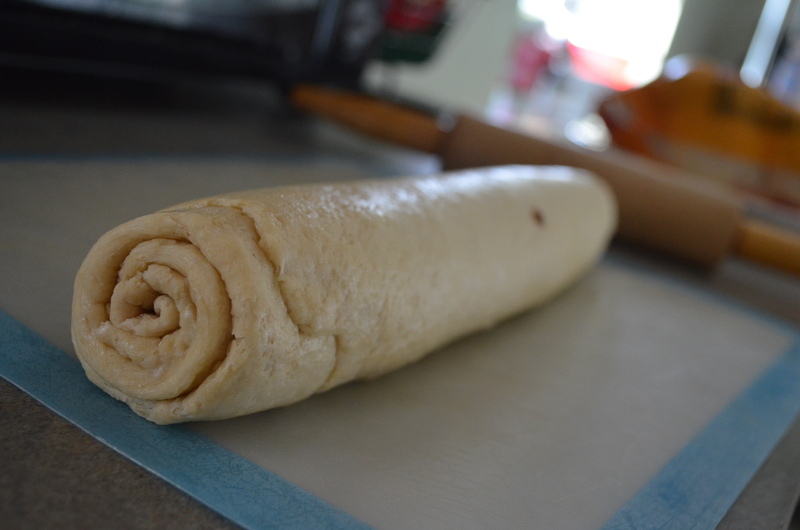 Starting with a short (12″) end, roll the dough into a log, sealing the ends and side seam. Cut the log into eight slices. A pair of scissors works very well here. 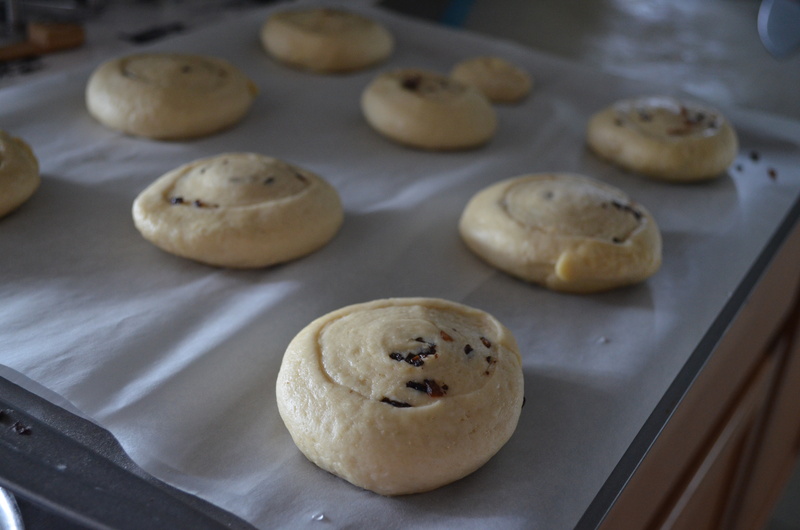 Place the buns on a lightly greased or parchment-lined baking sheet, flattening them to about 3″ wide. Cover them, and allow them to rise till they’re very puffy, about 1 hour. Towards the end of the rising time, preheat the oven to 375°F. 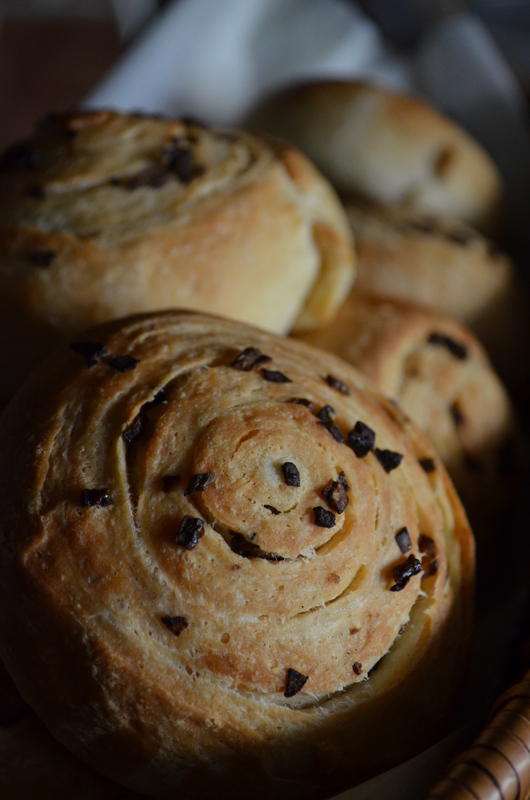 Uncover the buns, brush them with the beaten egg white/water, and sprinkle with seeds, if desired. 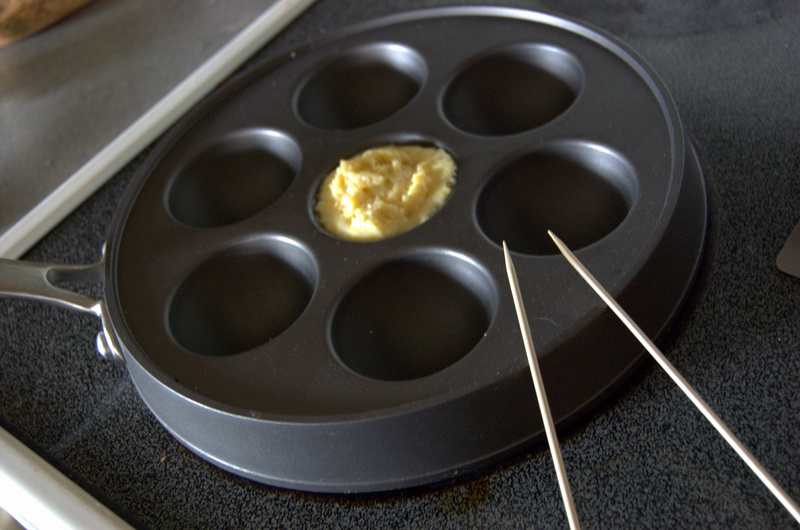 Bake the buns for 20 to 25 minutes, until they’re golden brown and feel set when you poke them. Remove them from the oven, and cool on a rack. When completely cool, wrap in plastic, and store at room temperature. It’s fun to take a favorite family meal and make it a bit more special by making something fresh. Maybe it’s grinding the meat, or making the buns, fresh tortillas or pasta, or even just making a new marinade. Taking chances in the kitchen is what makes it fun, and also how you grow into a better chef. Cheers to each and every one finding the perfect bun!! 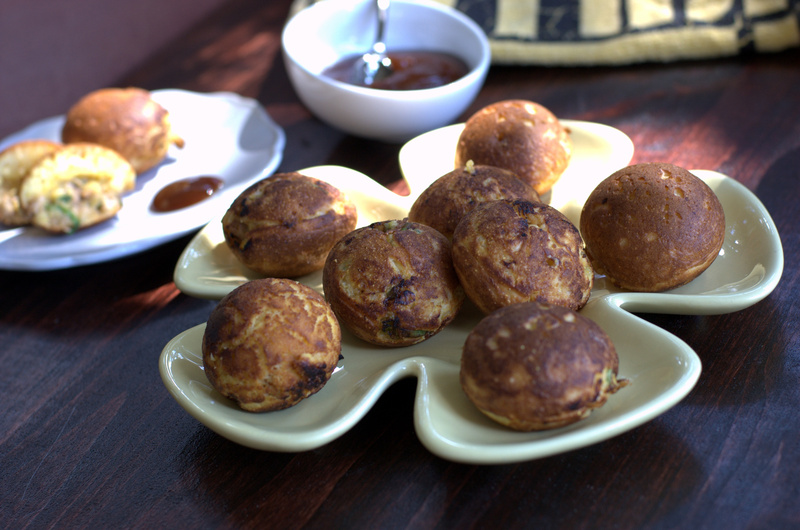 Ever had an Ebelskiver? 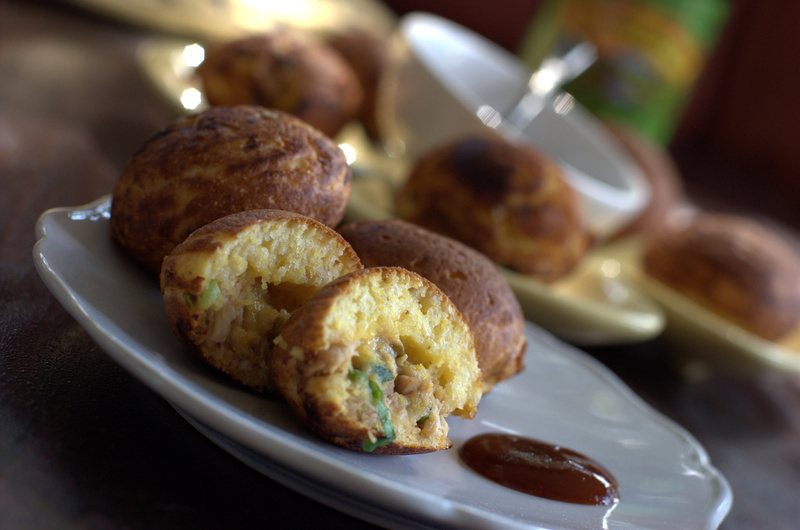 They are basically a stuffed pancake ball, think of a flapjack with your favorite topping turned into a popper. The Danish are credited for this traditional sweet breakfast treat, originally stuffing them with sweet cinnamon apples. While the original apple flavor is hard to beat the versatility is seemingly endless. In honor of professional football starting this weekend (Go Steelers), I thought I would try a tailgate friendly Ebelskiver. 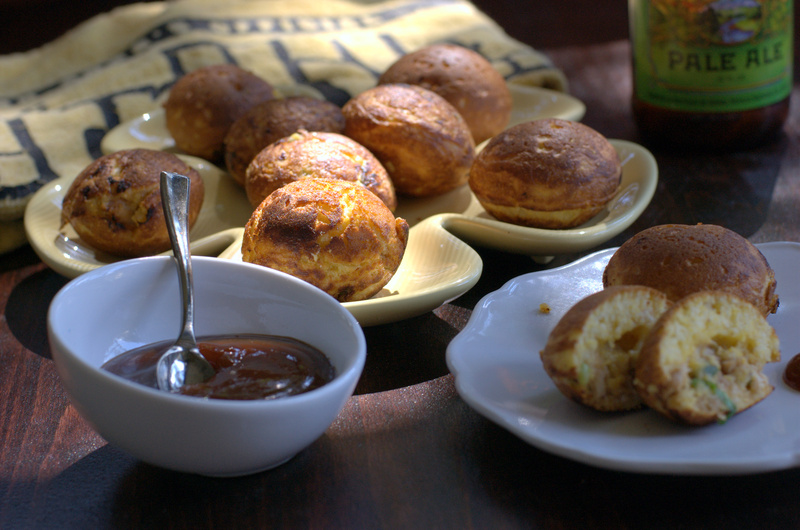 BBQ chicken and cornbread are two common dishes found at these football celebrations, and both would be perfect for an Ebelskiver. 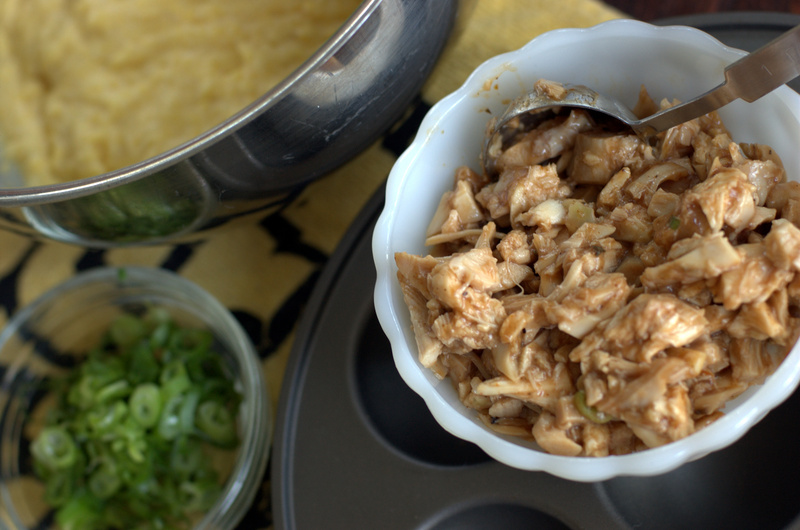 Toss the chicken, barbeque sauce and scallions together in small mixing bowl. 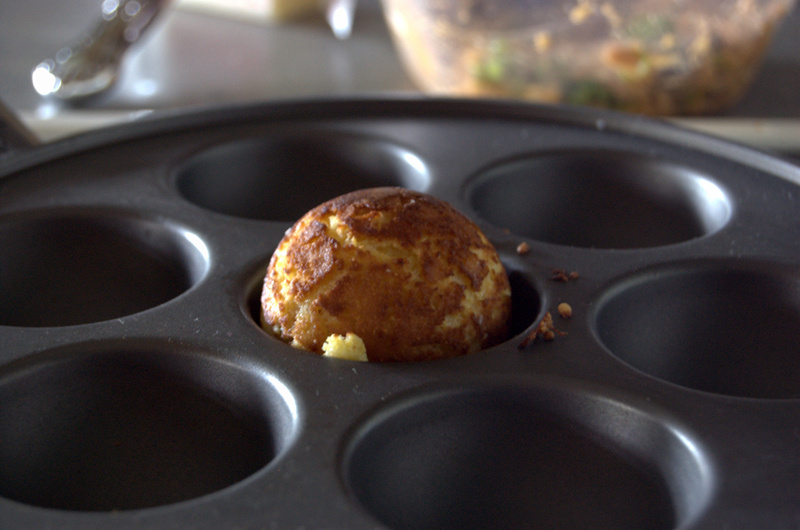 Place your Ebelskiver pan on medium low heat. When it is warm, add a tablespoon of batter into a well. 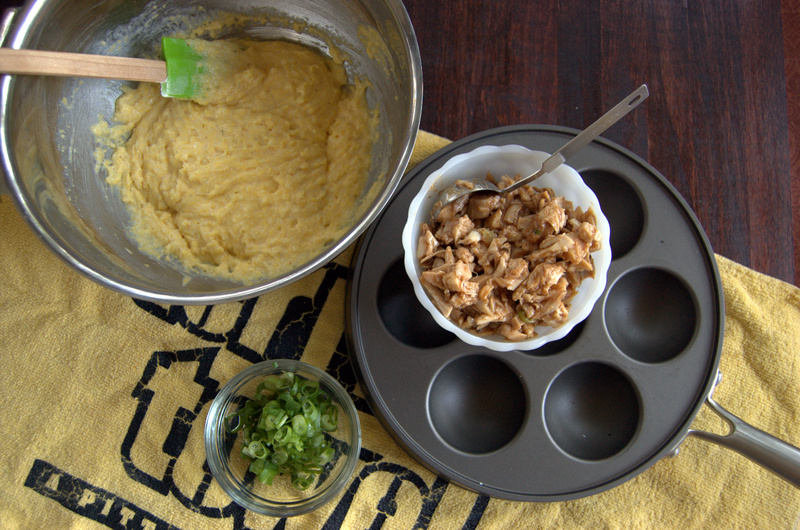 Add a tablespoon of the chicken mix into the center of the batter filled well. 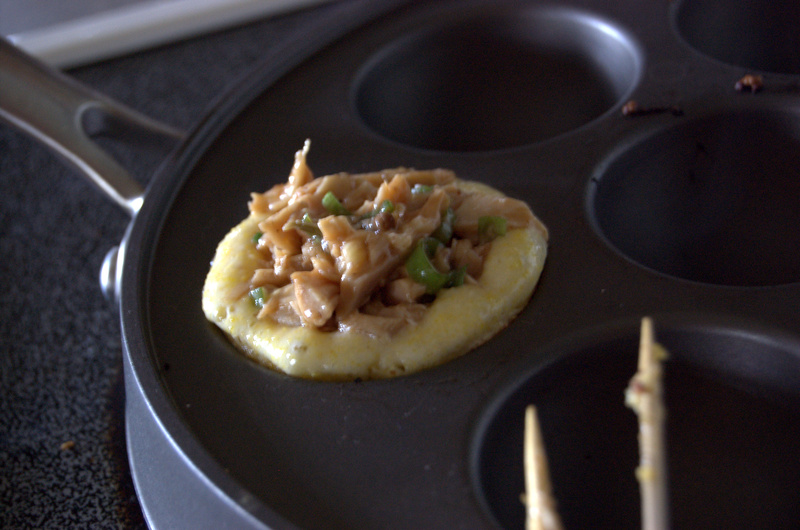 Allow to cook for a few minutes and carefully rotate with 2 wood skewers. Allow to cook another 2-3 minutes. Repeat with remaining batter and filling. 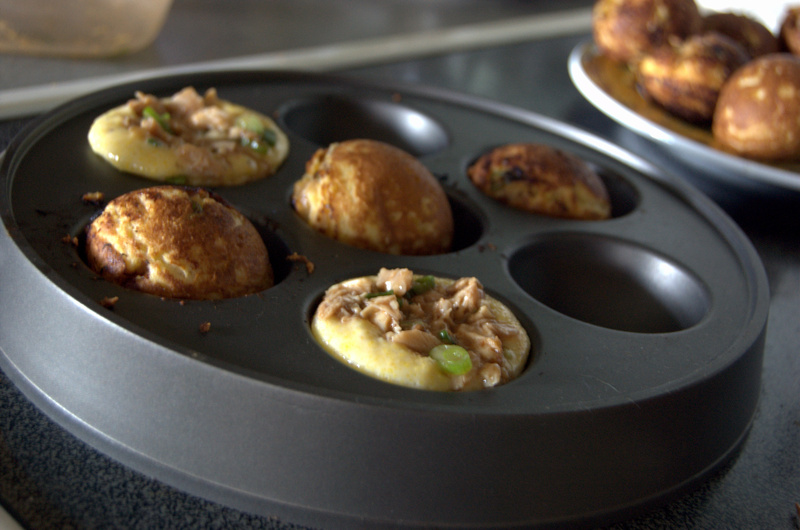 This recipe makes about 16 Ebelskivers. Does anyone else have to throw out the first pancake they make? The first Ebelskiver you make, might not be the prettiest, but by the end you fill find your “juju”. 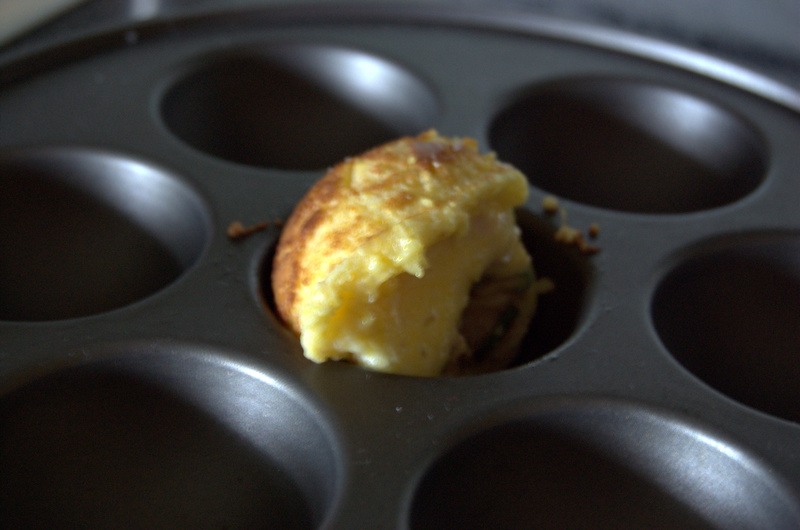 You can make the Ebelskivers the day before and reheat them in the oven the next day, great for a busy Sunday. These little guys can be made sweet or savory, how about chocolate peanut butter or maple walnut? Turn them into savory with ham and gruyere or even turkey and brie. Use pancake batter for sweet and lesson the sugar for savory. They are simple enough to get the kiddoes involved as well. The one thing I would warn everyone is….never put them on menu for 100’s of people. It is just not a good scene- Ebelskiver for 800 people anyone? Never again!!! Here’s to an injury free and exciting football season! And Go Steelers!! 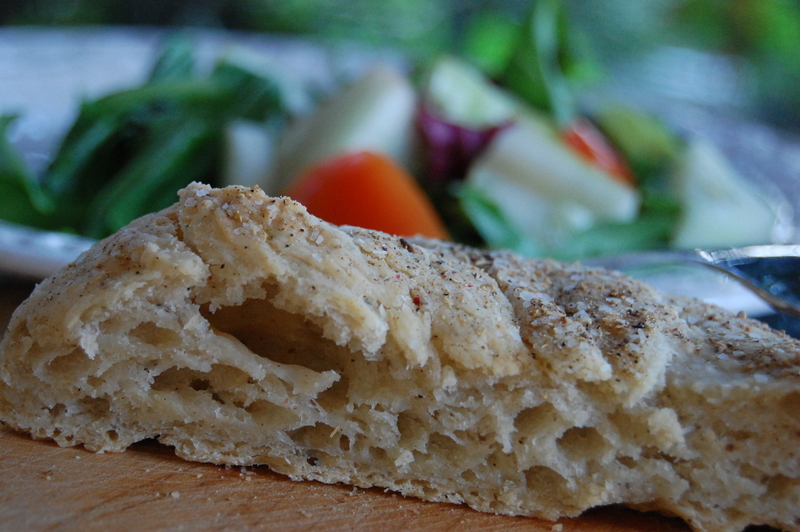 The Best Ever Focaccia Bread. Period. At the resort I work the bakery used to make this bread, and when we were lucky enough to score a loaf….it was gone in seconds. This focaccia could be detected from the other side of the building. We even went to great lengths to hide it from the other cooks around the kitchen. It seriously melts in your mouth like cotton candy! It absolutely does not need anything, not a pat of butter, not a dip of EVOO. Plain, beautiful, mouth-watering goodness. It might just be the best thing I ever ate. Ever. I don’t really have the exact recipe from the bakery, but I picked one of the baker’s mind for a few weeks to figure it out. 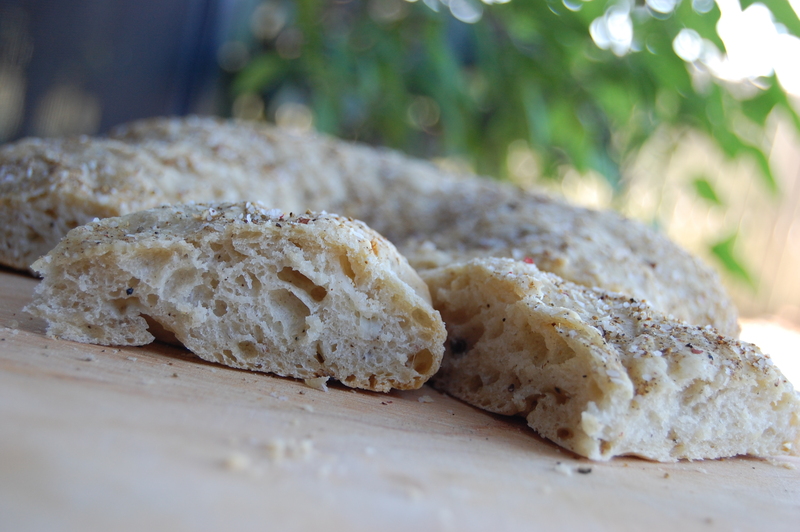 I also am not an experienced bread maker, but I think this recipe works pretty well and is easy to follow. I do know, that it is totally worth the effort. Saute the whole fennel seeds and then grind! 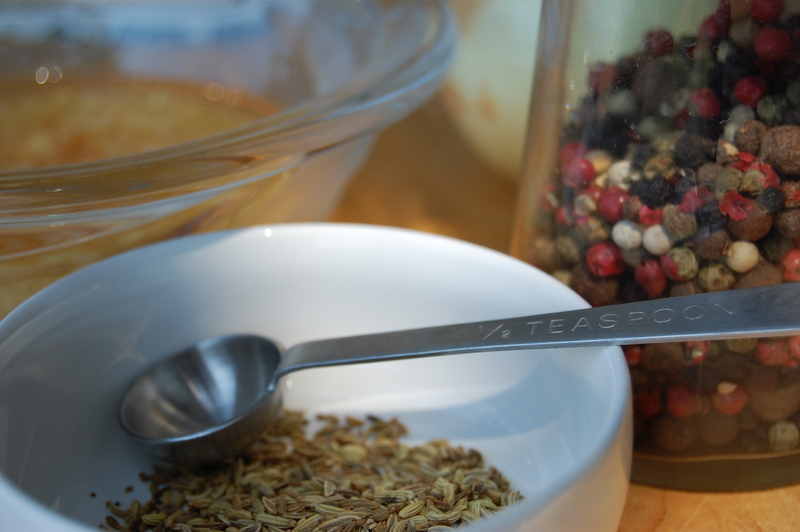 Using whole seeds and toasting and grinding them will give you the freshest flavor! 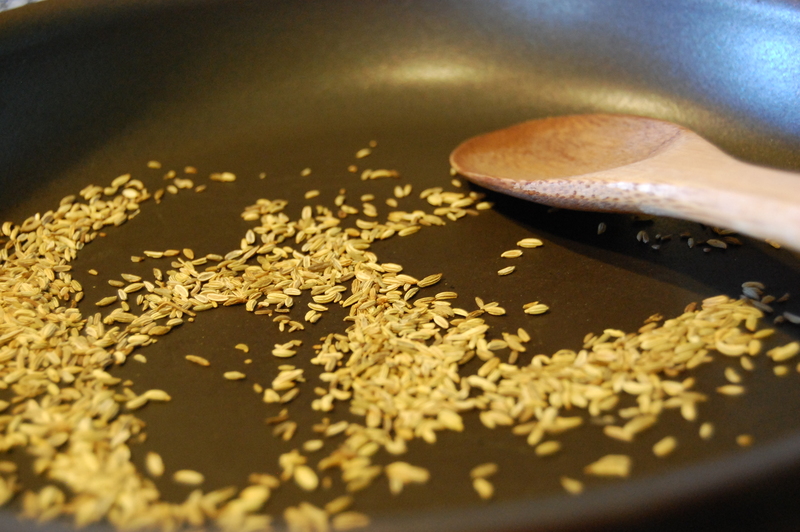 Toast the fennel seeds in a medium sauté pan over medium high heat. Remove seeds and grind them in coffee bean mill. In a sauté pan heat olive oil and sauté diced onions until translucent. 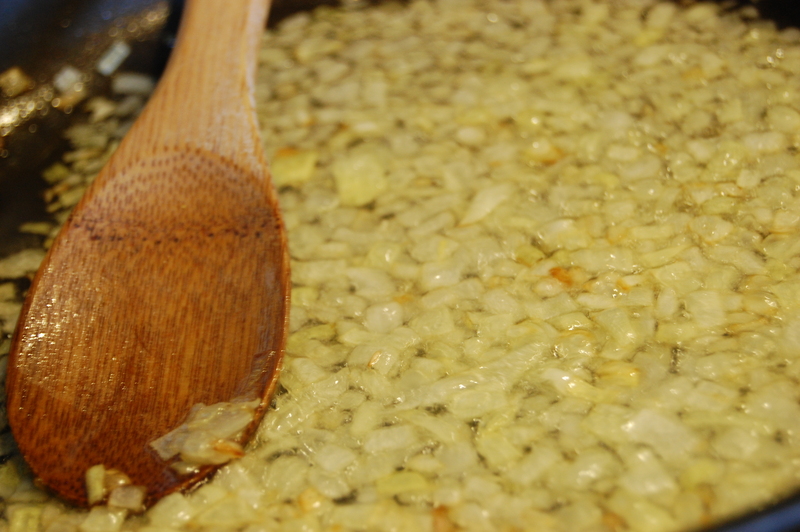 Transfer the onions and oil into a bowl and refrigerate. 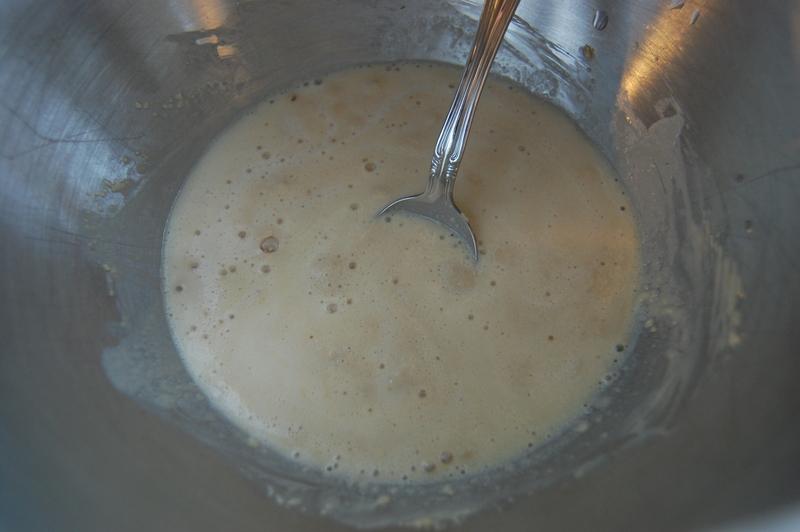 Combine warm water, yeast and sugar in Kitchen Aid/Stand mixing bowl and allow to the yeast bloom for 20 minutes. In another mixing bowl, combine the flour, salt, pepper and fennel, and mix until well blended. Add the onion/olive oil into the water/yeast mixture. Slowly add flour mix into stand mixer bowl with dough hook, alternating water and flour. Mix until well combined, scraping the bottom of the bowl. 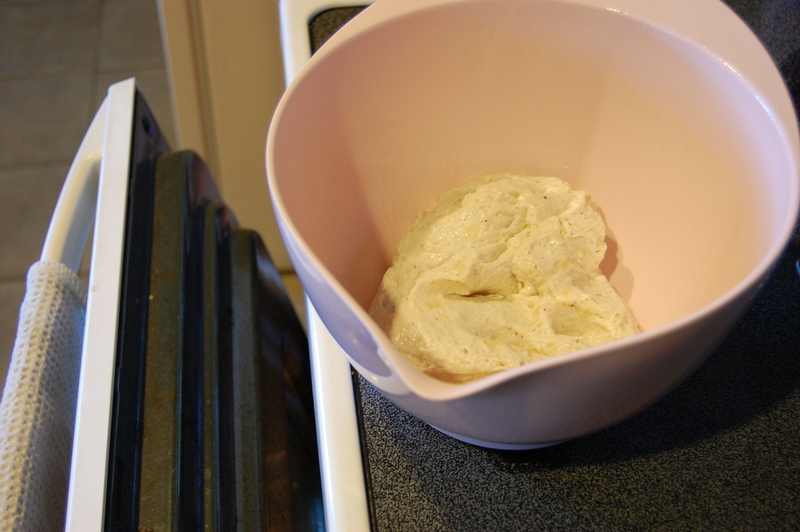 The dough should stick to the bottom half of the bowl, and the top half of the dough hook. The dough will be very sticky. 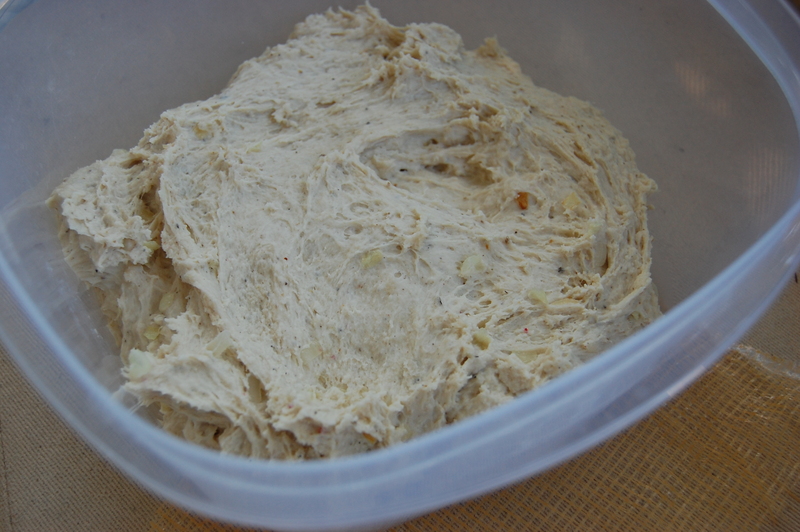 Remove the dough and place in olive oil coated large container (tupperware, bowl, ect). 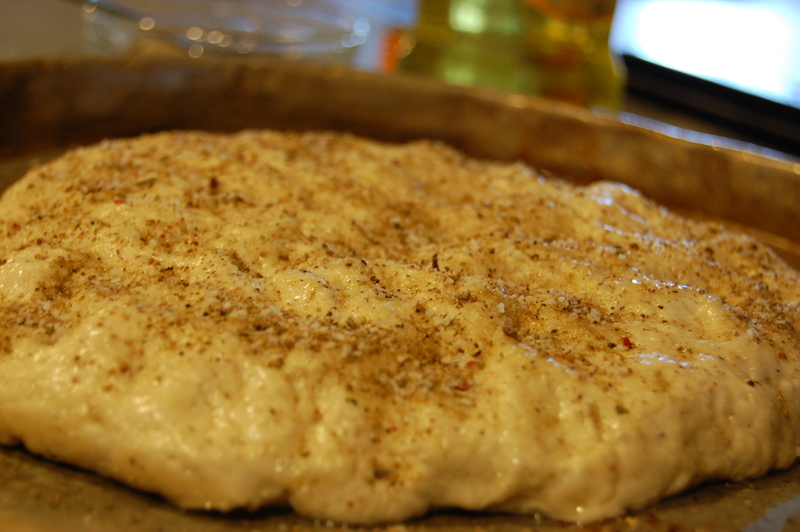 Brush the top of the dough with olive oil and top with plastic wrap. 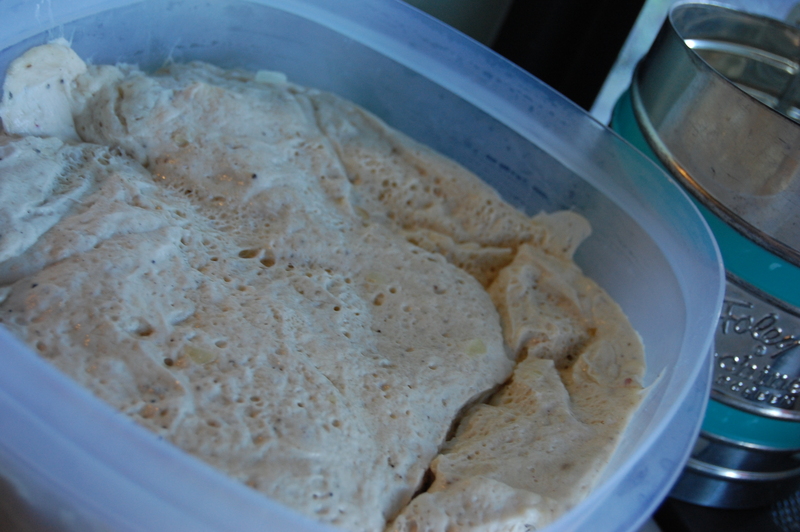 Refrigerate and punch ( push) down the dough once it has risen. Refrigerate overnight. The dough is enough for two round loaves, you can split the dough in half and cook both at the same time, or leave one for later in the week. The dough will remain good for 5 days. When ready to bake, remove from refrigerator and allow to proof (almost double in size), for an hour minutes in warm area (next to the oven or a warm, sunny window). Remove from container and cover completely with flour. Dock (poke) the dough with your fingers and shake off excess flour while placing dough in a round shape on a parchment lined cookie sheet. Brush the top with olive oil and sprinkle reserved salt/pepper/fennel evenly (be sure to save 1/2 for the other loaf if only baking one). Allow to proof another 10 minutes. After the refrigeration the dough has to rise again..the oven crack will help or a warm window! 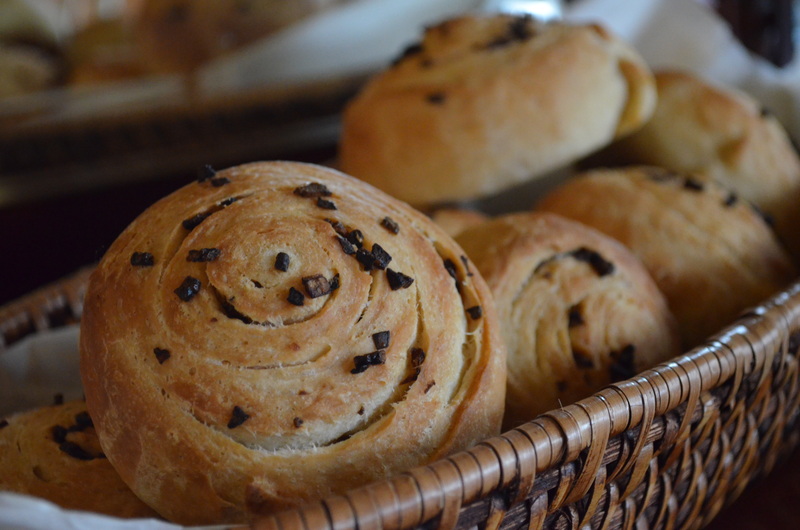 Fresh baked bread sure does smell good in the house….the home!